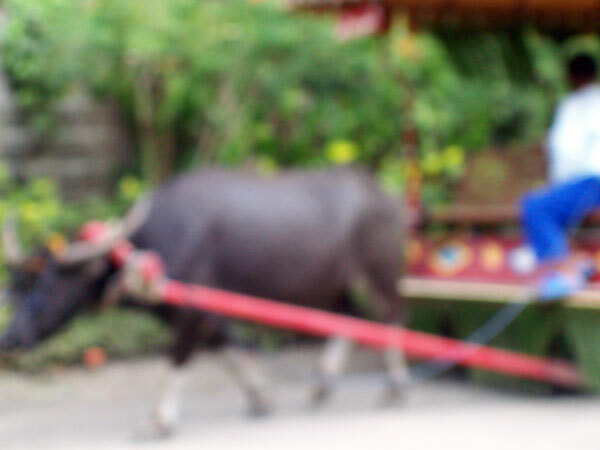 This entry was posted in Blue Monday, Camera Critters, Mellow Yellow Monday, Ruby Tuesday and tagged blurry effect, carabao, Villa Escudero on March 6, 2011 by Yami. Ooo, you are way too late; I’m so sorry. Blue Monday is on each Monday, beginning at midnight EST. It closes after 11PM. I’m sorry that you missed it. I do hope you try again–maybe next Monday. The softness of the photo leaves a lot to the imagination! Said Ms. Foxy Scarlet Hag.